This Kayak cart you can effortlessly sit a kayak, canoe, surf ski or SUP on the cart platofrm and strap it donw with the FREE 4m adjustable strap to secure it safely to the cart. 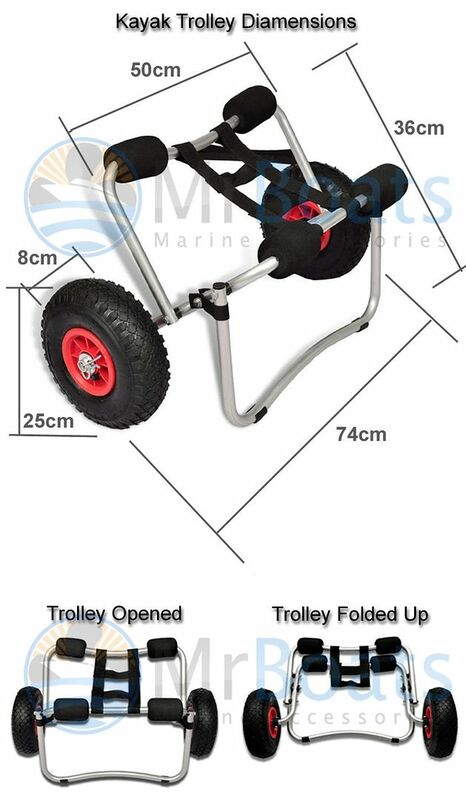 The U-Shaped kick stand prevents the legs sinking into the sand and keeps the cart propped up on the shore for quick loading out of the water, This cart comes with 4 foam bumpers to prevent your watercraft getting damaged. Curved U-shape stand to stabilise the trolley while you load & unload. The U-shaped stand wont sink into the sand like pole legs do. 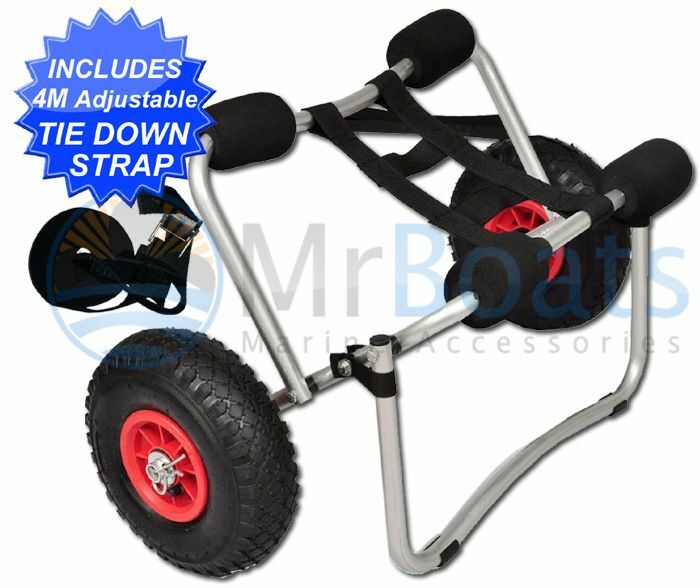 Includes a FREE 4m Tie down strap with adjustable clip. No more carrying your heavy kayak dow to and back from the water. 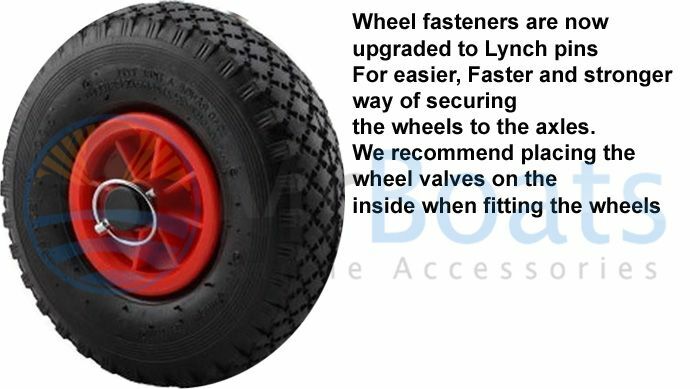 It's large, detachable inflatable rubber wheels rolls smoothly across sand, gravel and cement boat ramps. The solid polished Aluminium construction is sturdy for years of use. It wont rust. It's light weight for easy transport plus it's also foldable for easy storeage.